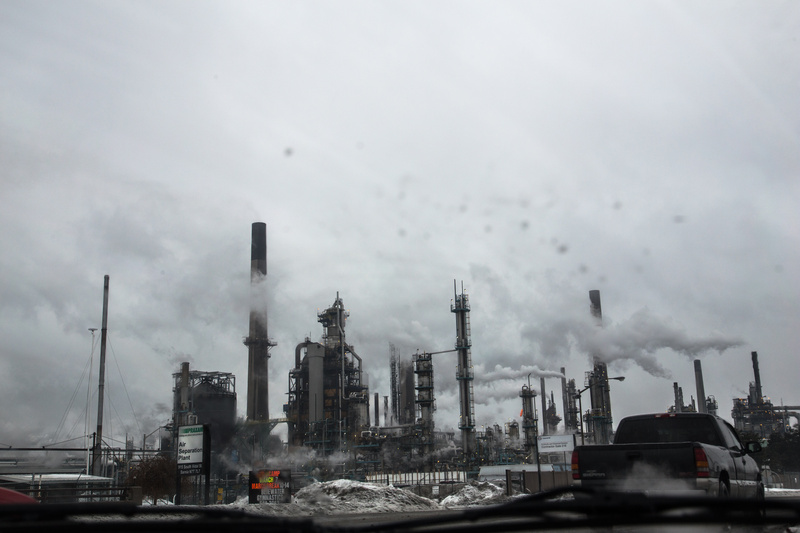 Outside Imperial Oil. 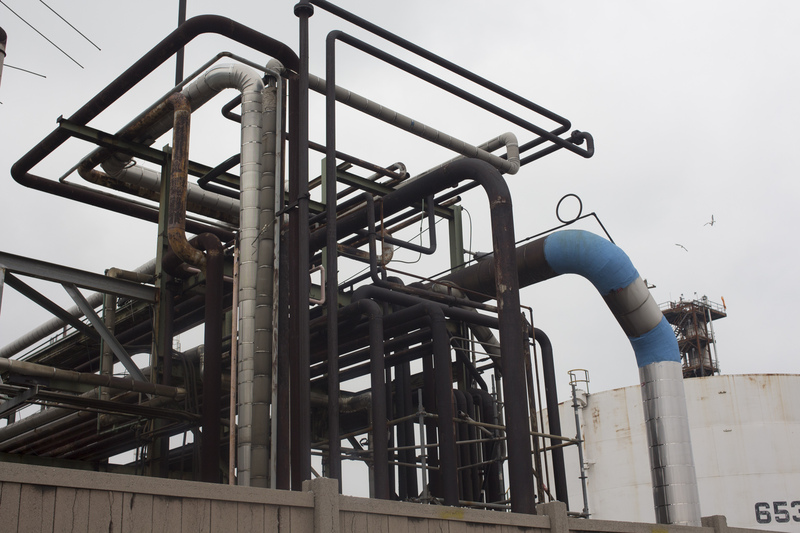 "Toxic Tour" of Chemical Valley, March 2013. 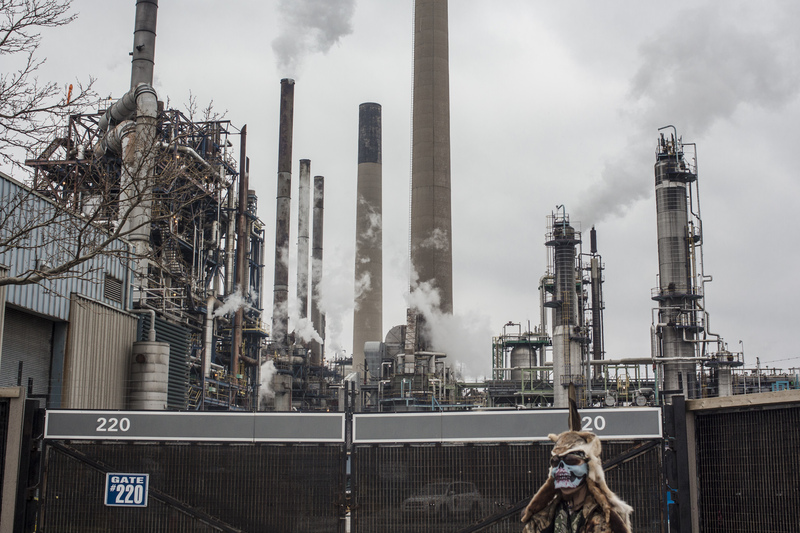 A group pauses outside of Imperial Oil's facility during the "Toxic Tour" of Chemical Valley, March 2013. 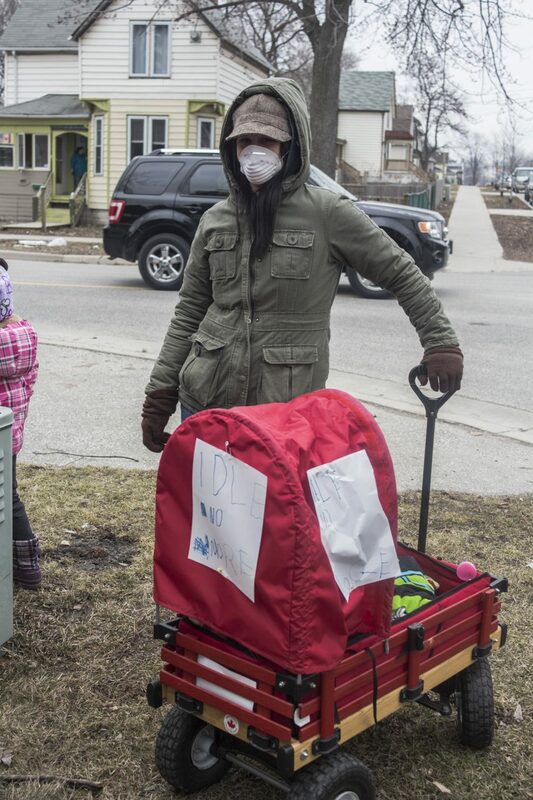 A mother wears a dust mask at the "Toxic Tour" of Chemical Valley. 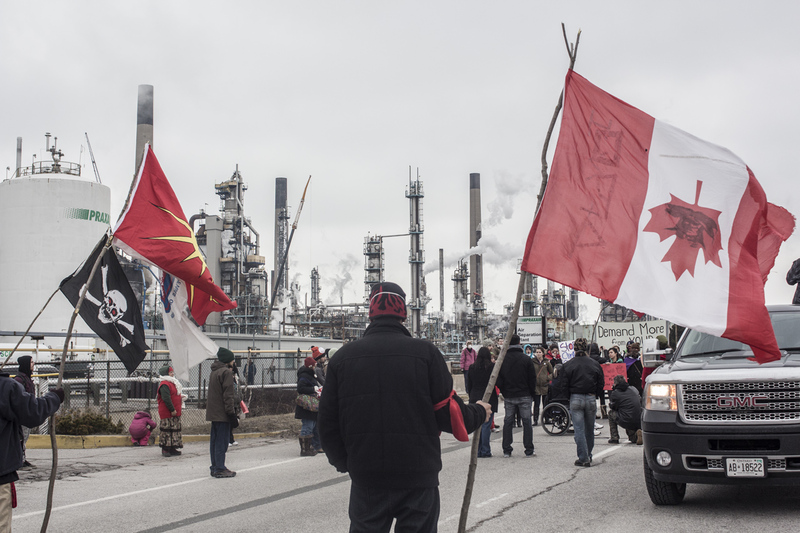 South Sarnia, March 2013. 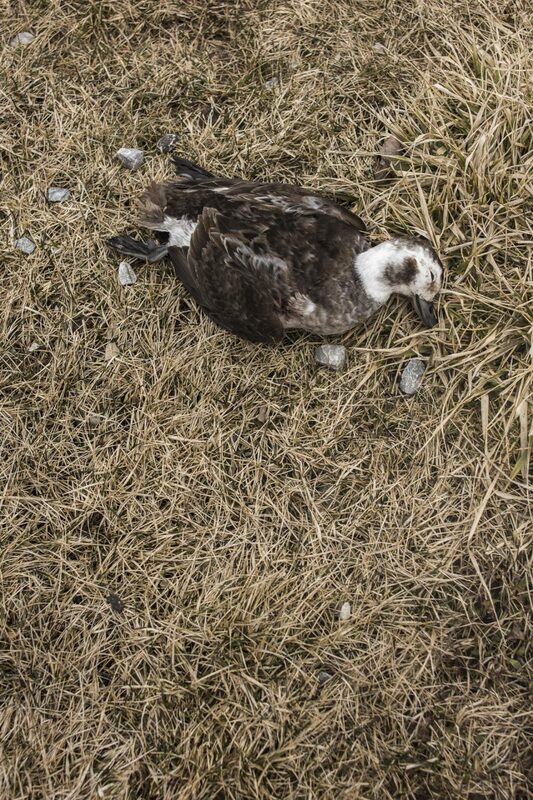 A bird found on the banks of the St. Clair River in Aamjiwnaang First Nation, 2013. 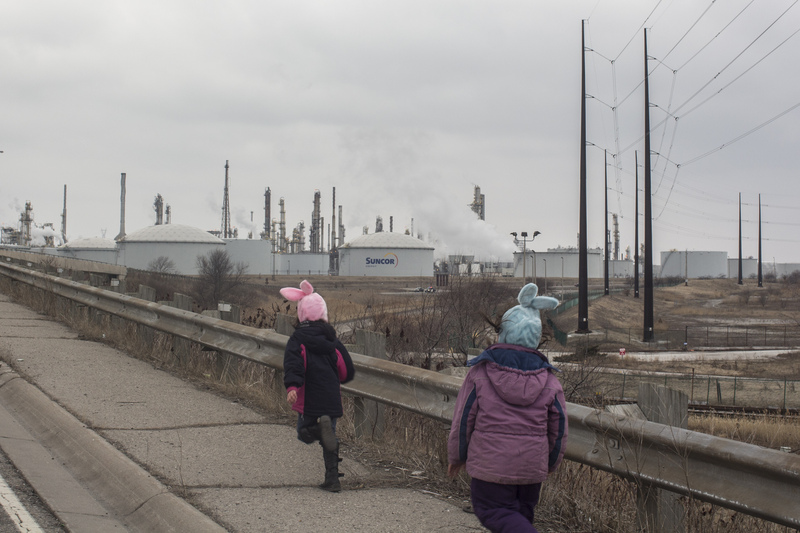 Aamjiwnaang youth play tag during the "Toxic Tour" of Chemical Valley, March 2013. 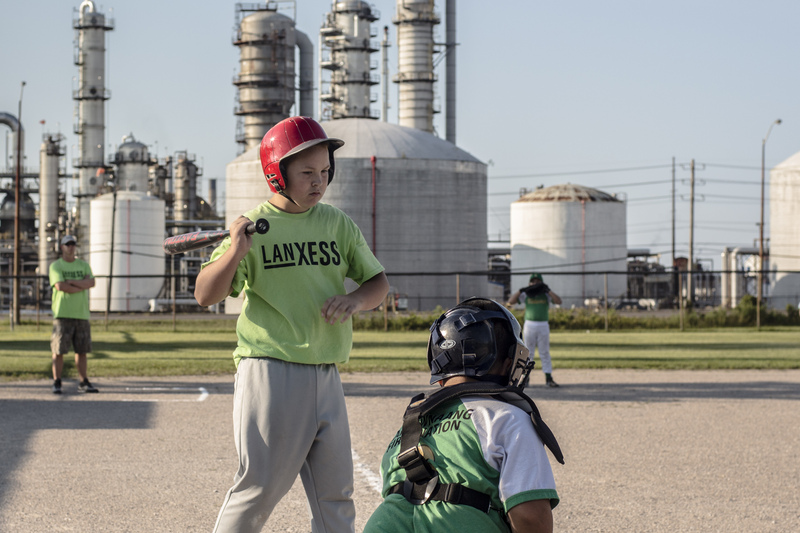 A little league game between the Aamjiwnaang First Nation Talons and Team Lanxess, Aamjiwnaang, 2013. 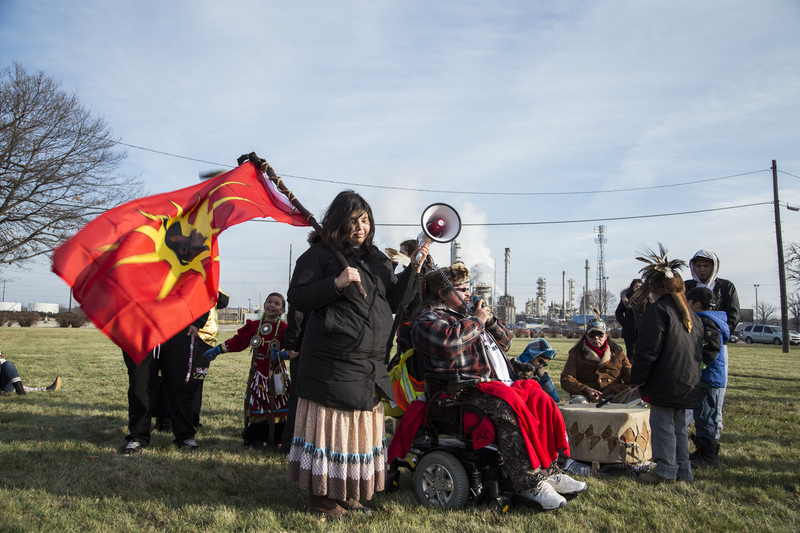 Vanessa Gray and Elder Mike Plain speak at a flash pow-wow in chemical valley, 2015.